Has there ever been a more unjustly popular toy than Play-Doh? The product has one thing going for it: it's non-toxic. Meaning that, like boogers or Tylenol, a kid has to eat a lot of it before he dies. But in virtually every other way Play-Doh is a lousy substitute for clay or plasticine. I mean, it was invented as an agent for cleaning wallpaper. Does home improvement sound fun to you? What's next, Play-Caulk? 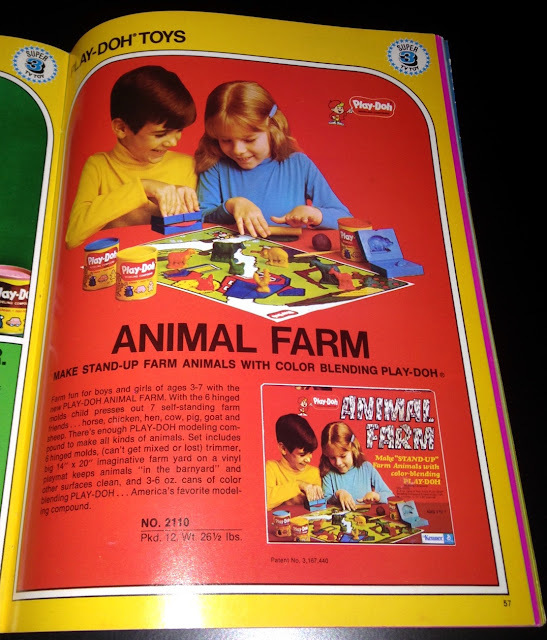 General Mills acquired Rainbow Crafts, the perpetrator of Play-Doh, in 1965, and in the early '70s the product became associated with GM's Kenner subsidiary. 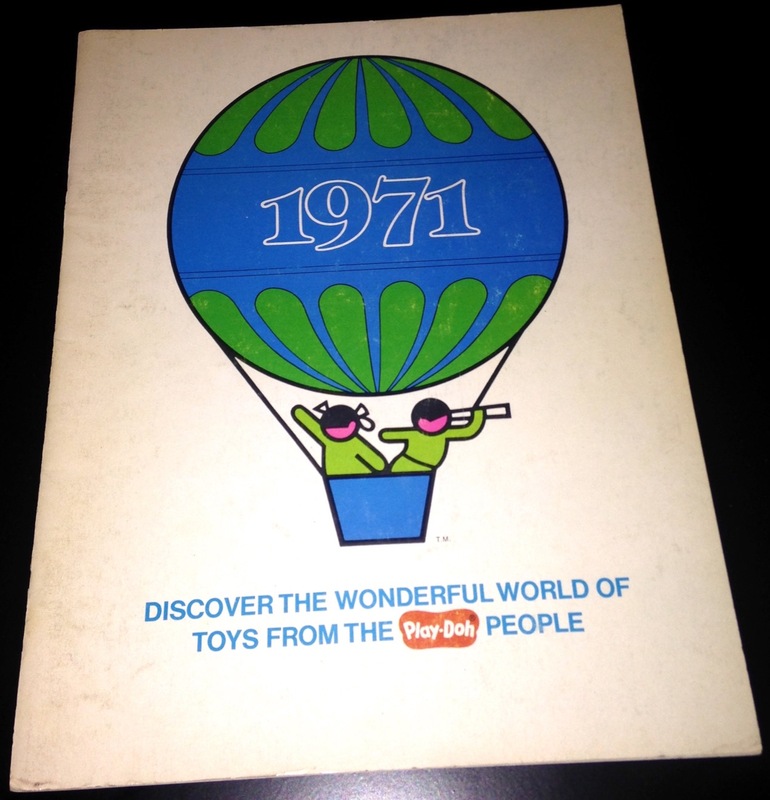 This was apparently a big deal for the folks at Kenner, as they immediately started referring to themselves as "the Play-Doh people." How the Spirograph and Girder and Panel product lines felt about this is unclear, but it's a good bet neither was happy about being passed over in favor of colored wallpaper putty. Nevertheless, come 1972 there was the irritating Play-Doh mascot shamelessly consorting with Kenner's Gooney Bird on the cover of the company's Toy Fair catalog. Regardless, it was around this time that the Gooney Bird stopped regularly appearing in Kenner's advertising materials. He was right to look conflicted. 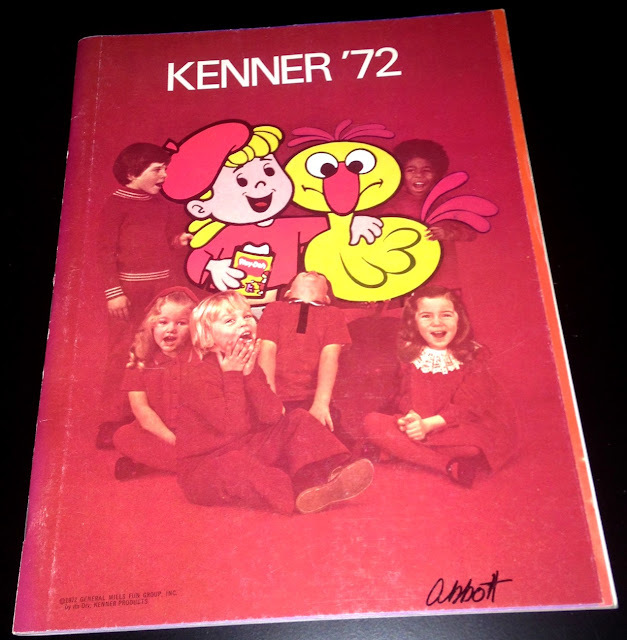 It didn't take Kenner long to associate their new acquisition with popular licenses. 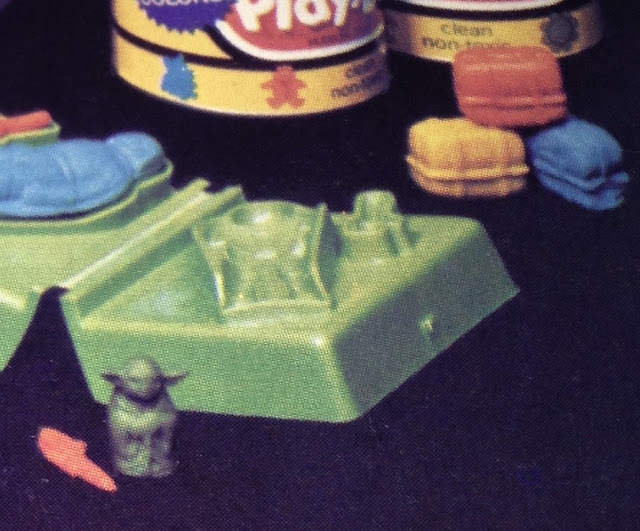 This Flintstones-themed Play-Doh set was advertised in the company's 1973 Toy Fair catalog. It allowed kids to make Play-Doh into king-sized Flintstones vitamins. 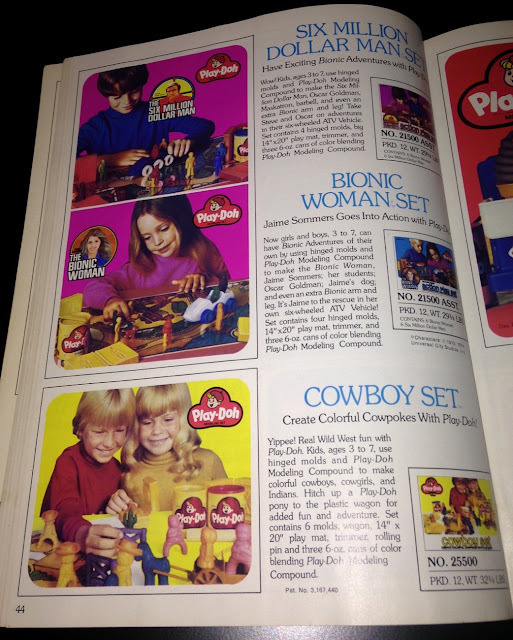 Kenner's big pre-Star Wars licenses, The Six Million Dollar Man and The Bionic Woman, also received some Play-Doh love. These products debuted less than a year prior to the release of Star Wars. But few properties are capable of competing with the licensing powerhouse that is the George Orwell estate. That Snowball figure has the look of a pig who's bent on leading the revolution! 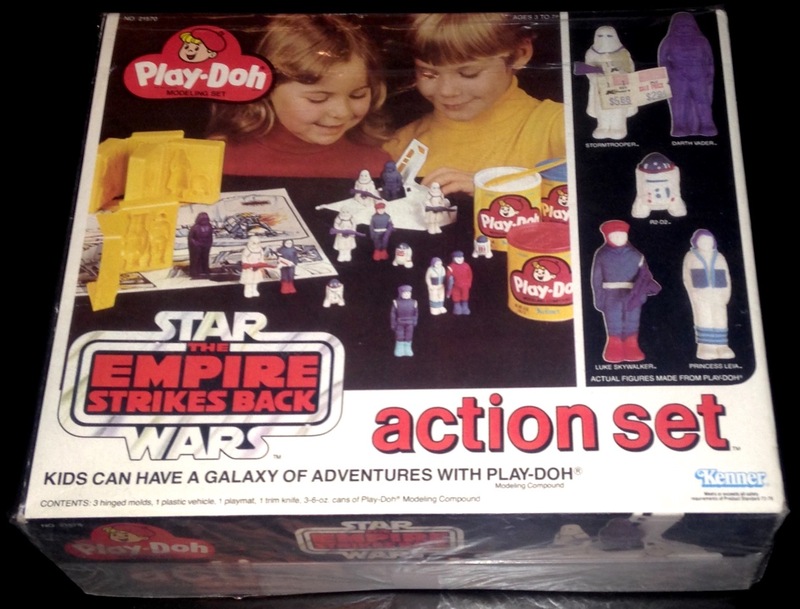 The first Star Wars-themed Play-Doh product was called the Star Wars Action Set. 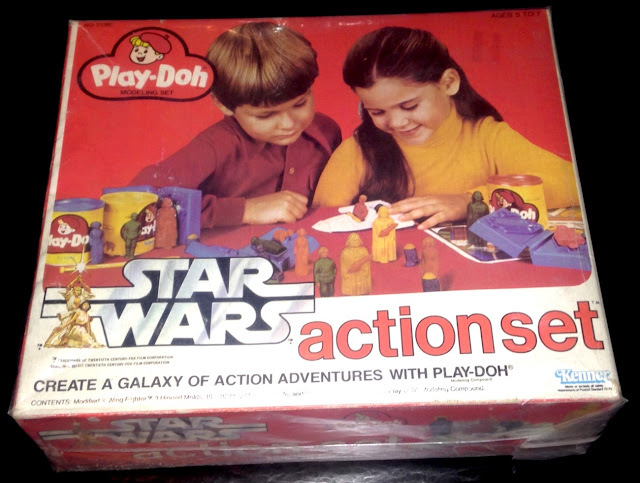 Its box is unusual among Kenner's early Star Wars offerings in that it deviates from the line's signature black-and-silver design scheme. 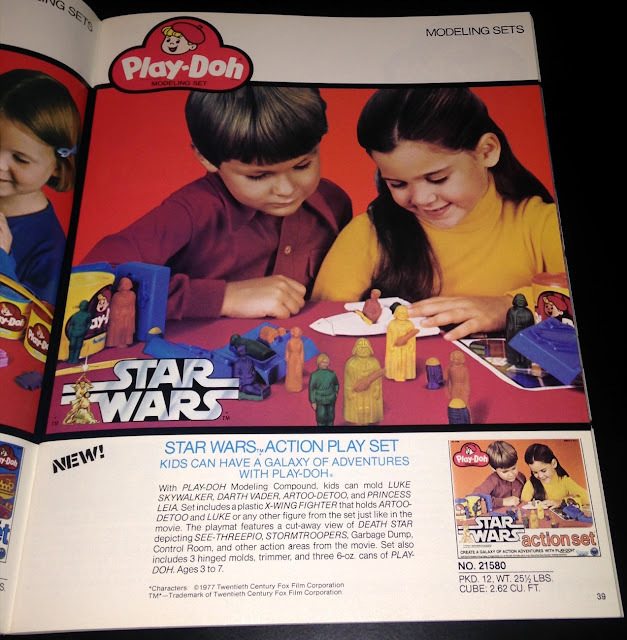 Its look was visually simpatico with the Play-Doh line rather than the Star Wars one. The set came with hinged molds that allowed kids to create doughy representations of four Star Wars characters, a plastic X-Wing Fighter, and a colorful playmat representing the Death Star. 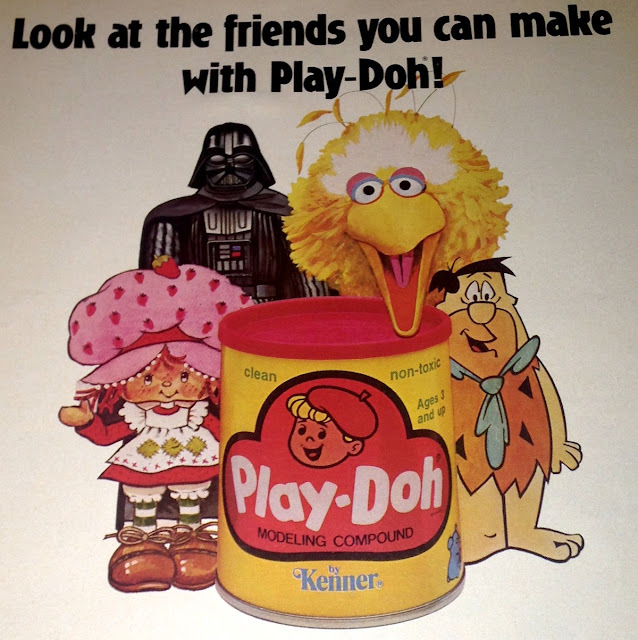 Since Play-Doh doesn't come in black, Darth Vader had to be molded in a disappointingly less-than-evil hue. If you think the Vader figures depicted on the box are grasping lightsabers, look closer. Those are actually blaster rifles that kids could make out of Play-Doh using one of the included molds, then smoosh onto the figures in strategic locations. The positioning of the blaster in this image makes Vader look a little salacious. Topps C-3PO has nothing on Doh Vader! 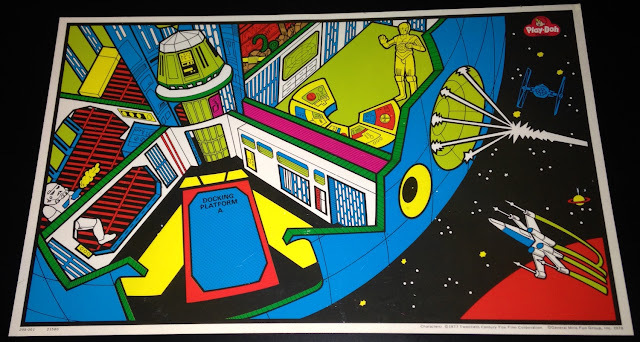 In my opinion, the coolest component of the set is the vinyl playmat. This unfolded prototype provides an unencumbered view of its super-colorful graphics. Note that the Stormtrooper's gun appears to be squishing out Play-Doh rather than firing energy bolts. The Dianoga is a nice touch. 1980 saw the debut of the second film in the Star Wars series and the addition of the Empire Strikes Back Action Set to the Play-Doh range. Now Vader could be molded in dark blue, which I suppose was fairly acceptable. Why Kenner didn't reuse the Vader mold from the earlier set is a mystery. The one included here is slightly different. Not sure if the R2-D2 mold is different or not. Not sure I care either. 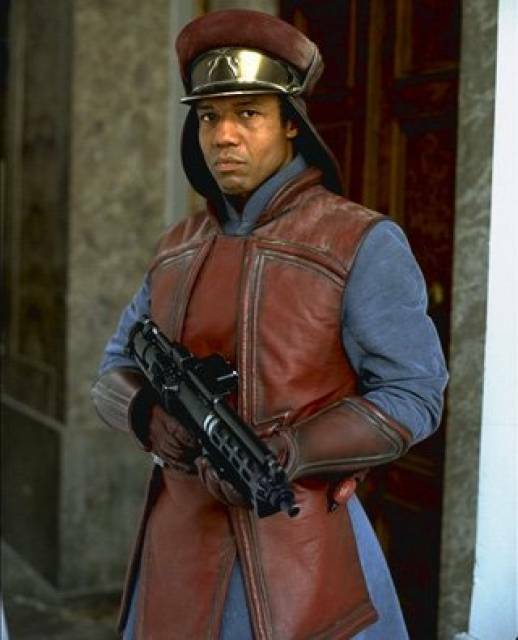 The mold for Luke yields a figure that looks a bit like everyone's favorite space rent-a-cop (and unlikely fashion icon), Captain Panaka. There's a project for an industrious nerdlinger: Find one of these sets, and mold up an army of Play-Doh Panakas. The set also included a plastic snowspeeder and a vinyl playmat. Above you see a prototype of the latter article. The longer you stare at it, the less you'll understand its spatial relationships. 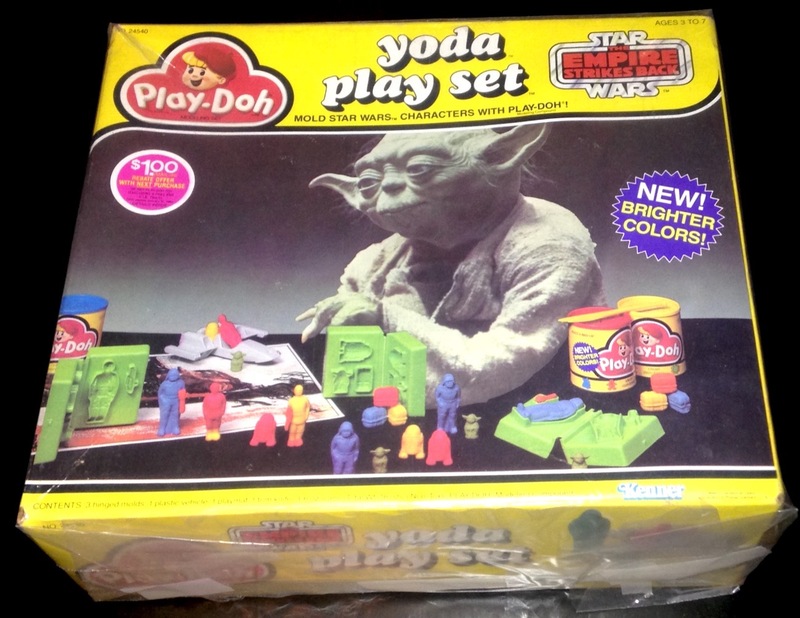 In 1981 Kenner released its third Star Wars Play-Doh product, the Yoda Play Set. Perhaps someone within the company realized that using the word "action" in reference to these products was somewhat misleading. The original incarnation of the toy came packaged in a white box similar to that used for the ESB Action Set, but it was quickly replaced by the yellow version seen above. 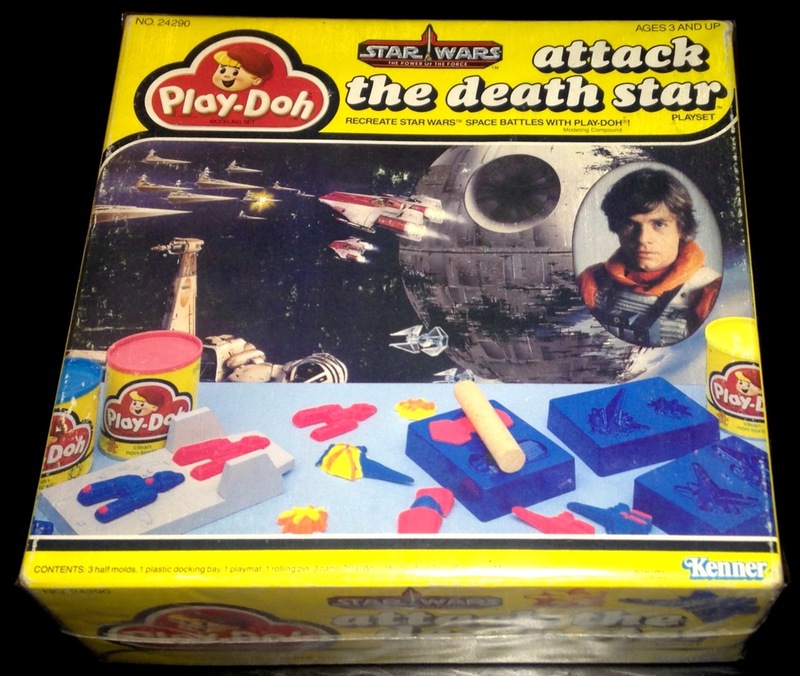 This particular yellow color became part of Play-Doh's branding, and it remained associated with Play-Doh products throughout the remainder of the vintage Star Wars years. The white-box Yoda Play Set is probably the scarcest of the vintage Star Wars Play-Doh items, especially in sealed condition. The Vader figure produced by this set's molds looks to be identical to the one included with the previous ESB set, and the X-Wing is the same as the one released with the SW set. Weirdly, the Luke mold from the SW set seems to have been reused here, meaning users were forced to tolerate the presence of the Tatooine Luke in the Dagobah environment. I love that the set allowed kids to make "levitation boxes." I also love the suggestion, provided by the above photo, that Yoda keeps a firearm handy at all times. Perhaps he's leery of home invasion? When Return of the Jedi hit theaters Kenner was ready with this Jabba-themed set. 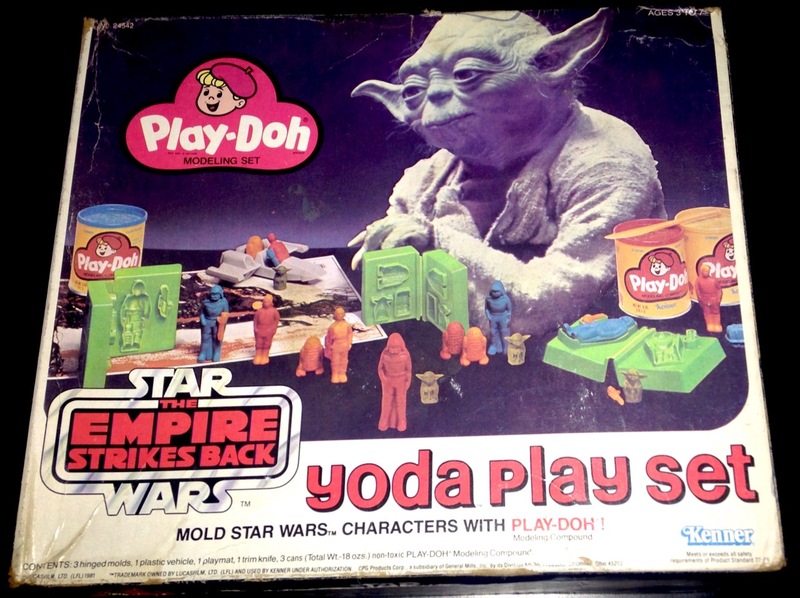 It featured a greater number of figure molds, including one that produced a nifty version of Han Solo frozen in carbonite. Who do you reckon is more Doh-appropriate, frozen Han or Jabba the Hutt? On the minus side, the molds were now one-sided rather than hinged. How do you imagine kids, with their disgustingly chubby fingers, managed to pry the figures from these molds? By ruining them, most likely. 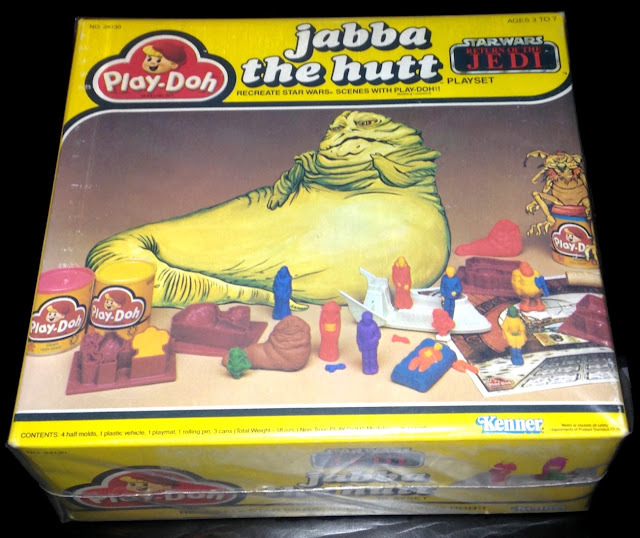 Since Jabba was a big secret prior to the release of Jedi, Kenner's catalog photos omitted the Jabba figure, and an alternate image of the playset's box was utilized. The plastic skiff that came with the set is pretty cool. 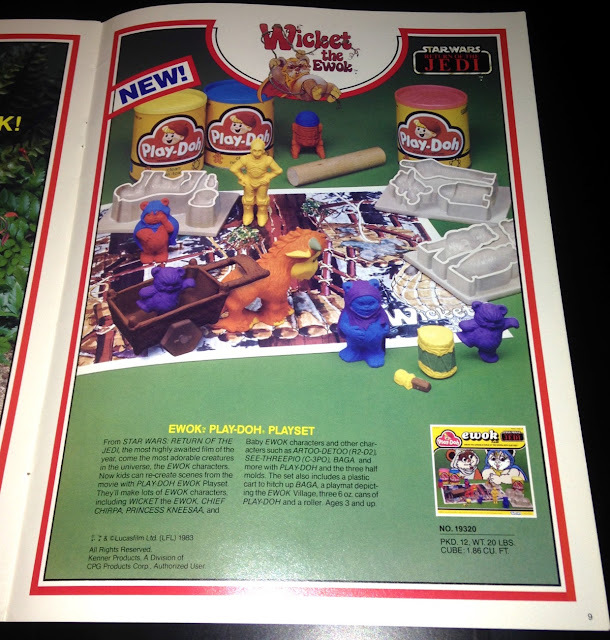 1983 also saw the release of the Wicket the Ewok Playset. It put a sizeable dent in the demand for toy incarnations of Baga, the Ewoks' irrepressible llama thing. 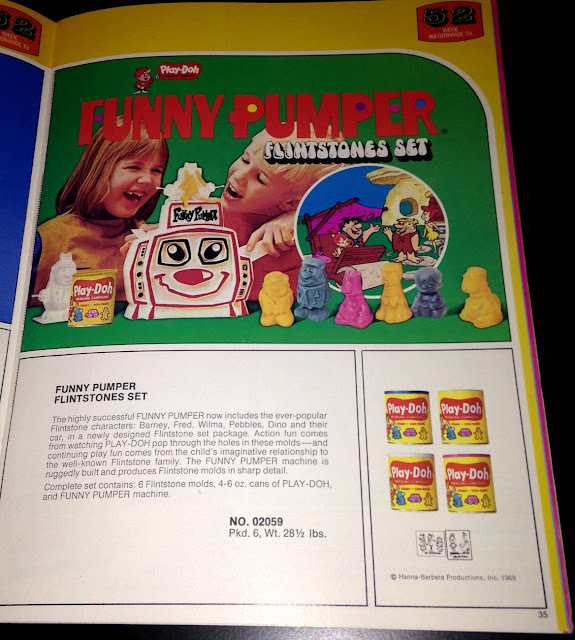 Ironically, the molds in this cartoon-based set produced figures that were more detailed and voluminous than the rudimentary, suppository-like figures of earlier sets. 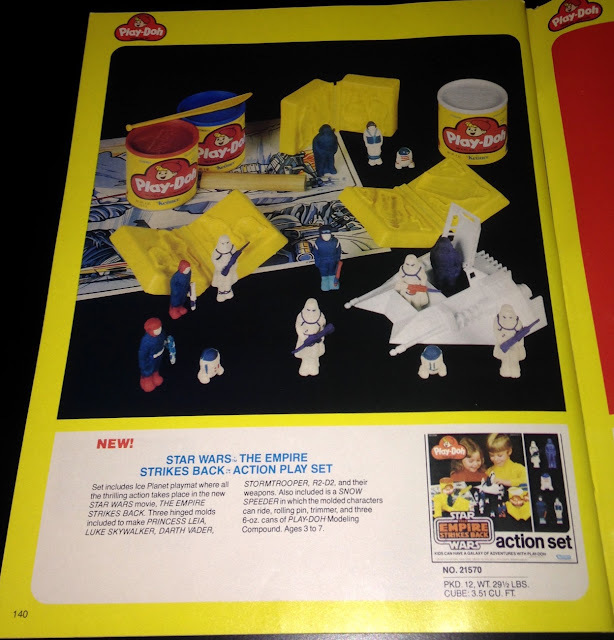 The set's plastic cart could be used to recreate various Baga-related adventures. Note that the box depicted on this catalog page is different from the one released to stores. 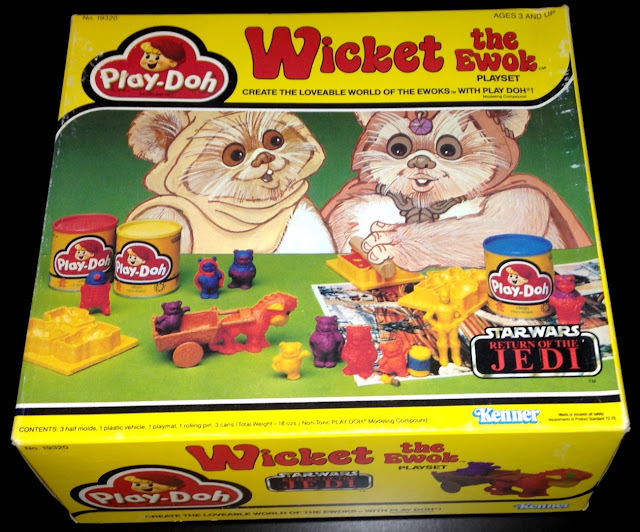 For years collectors considered this Attack the Death Star Playset a quasi-rarity because its box bears Power of the Force branding. 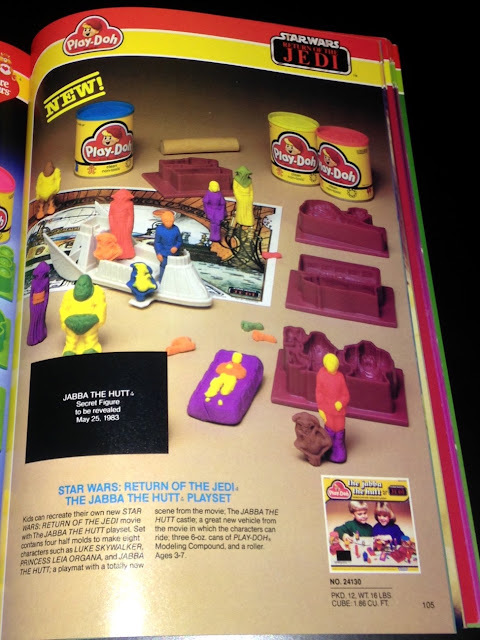 But it's actually among the easier Play-Doh sets to find in unused condition, perhaps because virtually no one bought it at retail. 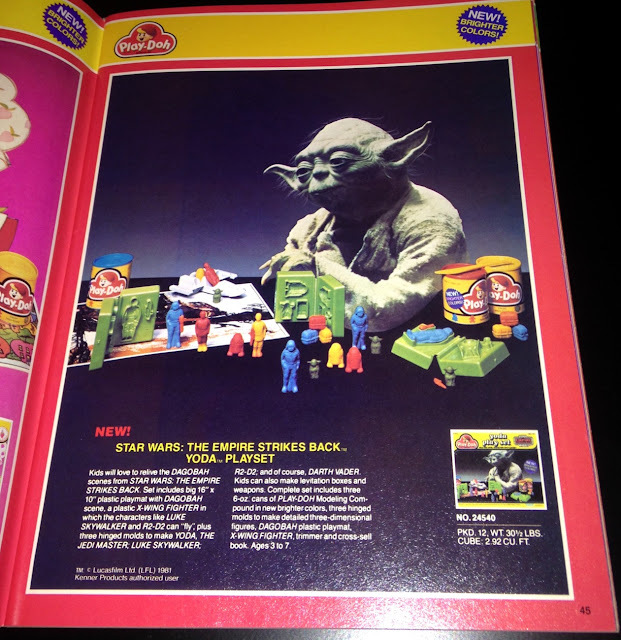 Can you blame the shoppers of 1985 for failing to be inspired by this toy? In place of the figural molds of earlier sets Kenner provided molds for a quartet of tiny, impotent-looking vehicles. Oh, and there was one mold devoted to explosions. It yielded strange barnacle-like conglomerations more reminiscent of Play-Doody than Play-Doh. The best part is the molded plastic component. It's a bland slab of nothing that Kenner attempted to pass off as a "launching pad." It looks more like the conveyor belt on which you place your Yoda grapes as you check out at the grocery store. 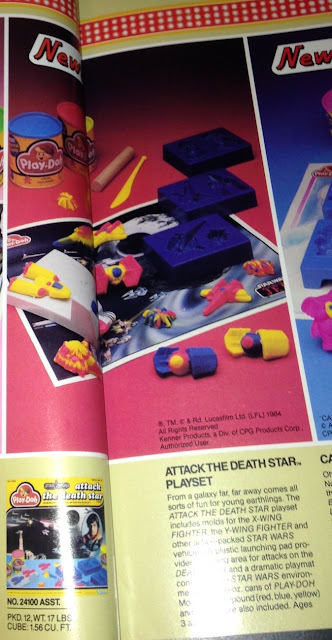 The fall from grace experienced by the Star Wars product line during the second half of the '80s is amply demonstrated by the manner in which the Attack the Death Star Playset was presented in Kenner's 1985 Toy Fair catalog. The product's photo spans two pages, making it hard to get a good look at the barnacles and the grocery shelf. Maybe that was intentional? 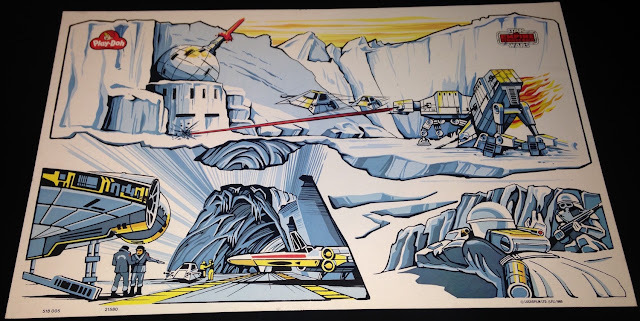 Kenner should have marketed this thing as the Star Wars Wallpaper Cleaning Playset. It would have sold better. Skye and Steve celebrate their diamond jubilee episode with Elling Haug and Tracey Hamilton who discuss Sensorscope R2-D2 and Removable Limbs C-3PO respectively. Plus, Chrisses Fawcett and Georgoulias report back to the states from Celebration Europe 3 and Skye reports from Yehuda's collection room. It is a big 75th 'Chive Cast that "Gargan Largans" its way through foreign variations, 48-Bs, has a knock-down-throw-down MarketWatch, a bunch of haikus, unloved Switcheroos, room sales, Peeping Tom droids, first shots, mock-ups, Diet Pepsi holders and two performances from Kenner Vintage Commercial Players. One last episode before the onslaught of Return of the Jedi characters start their reign on the Vintage Pod.